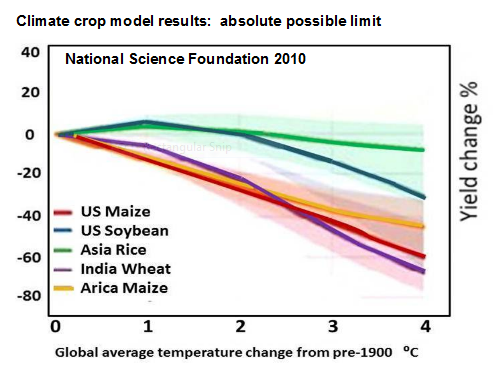 The climate change assessments give model projections for changes in crop yields at temperature increase surrogates for a few climate change effects. But that is a terribly misleading presentation for food security. For food security we need crop changes from committed global temperature increases and climate change, which is a very different matter. 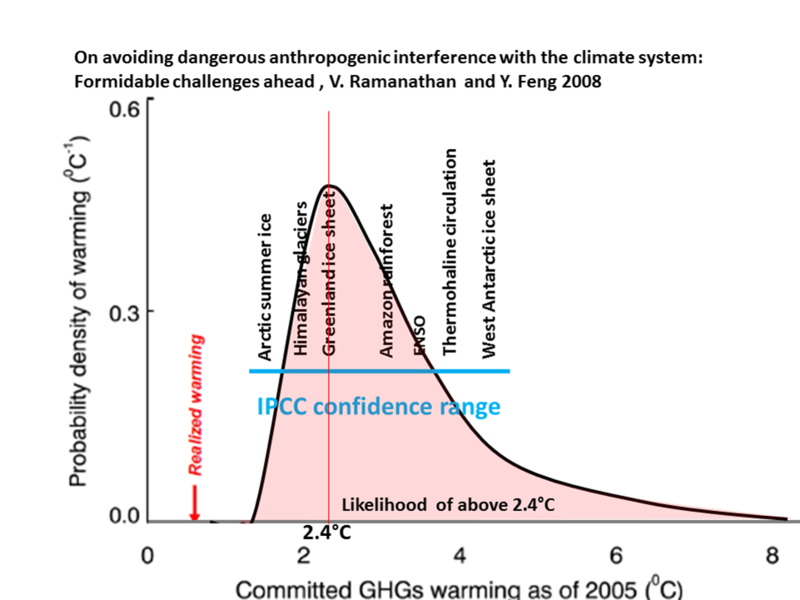 It has been known since the very first IPCC assessment in 1990 and that the global temperature increase at any particular time is only about half of the long term eventual temperature increase commitment. And this magnitude of the slams is confirmed in the latest climate change assessment by the national research council climate stabilization targets 2010. This committed doubling of today's temperature increase is due to the ocean heat lag. Much of the increase in heat from the increasing atmospheric greenhouse gases is hung up in the vast oceans that release this heat to the surface as a recorded temperature increases very slowly. 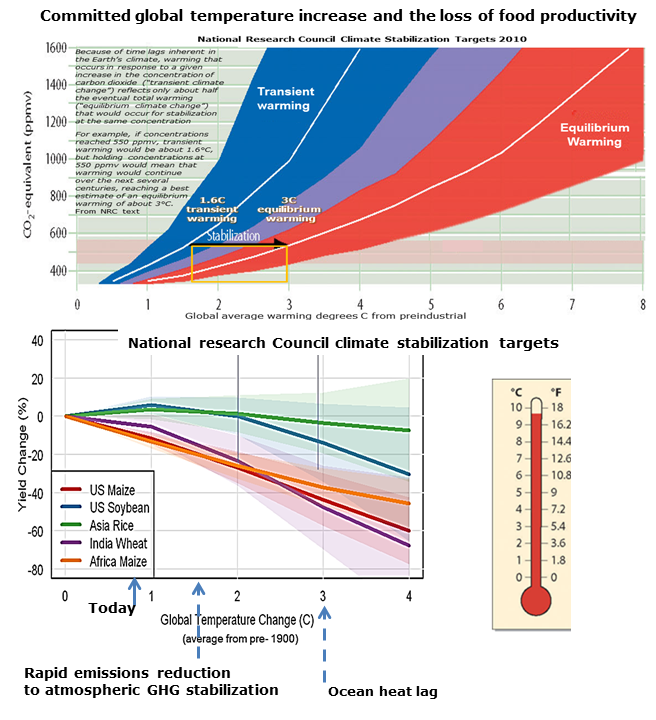 The illustration opposite combines the National Research Council's crop losses with today's commitment from the climate system lag (ocean heat lag), which the NRC says almost doubles a realized temperature at any time. 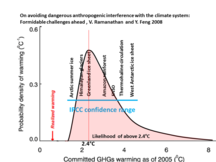 This illustration opposite shows a commitment of 2.4°C with a large risk of 4°C due to the global cooling aerosol effect added to the ocean heat lag (Ramanathan Feng PNAS 2008). As is well known the combustion of fossil fuels produces air pollution. Acid aerosols are part of this pollution and they are cooling because they reflect some of the incoming solar energy back out to space. This cooling effect is quite large and it makes for a committed additional heating which we are presently deferring to all future generations. The reason it's a definitely added commitment is we have two stop burning fossil fuels because of the definite science of zero carbon emissions. This science of atmospheric carbon dioxide is well recognized by the scientists and means that only zero carbon emissions can possibly ever stop the global temperature, climate change (and also ocean acidification) from continuing to increase. When the combustion of fossil fuel stops the aerosol cooling effect will rapidly disappear and an extra amount of warming will be 'unmasked' rapidly increasing the global average temperature some more. The commitment of the global temperature increase includes the additional warming to come from the 'hidden' ocean heat lag and the additional warming to come when the acid aerosols 'hidden heat' is unmasked. 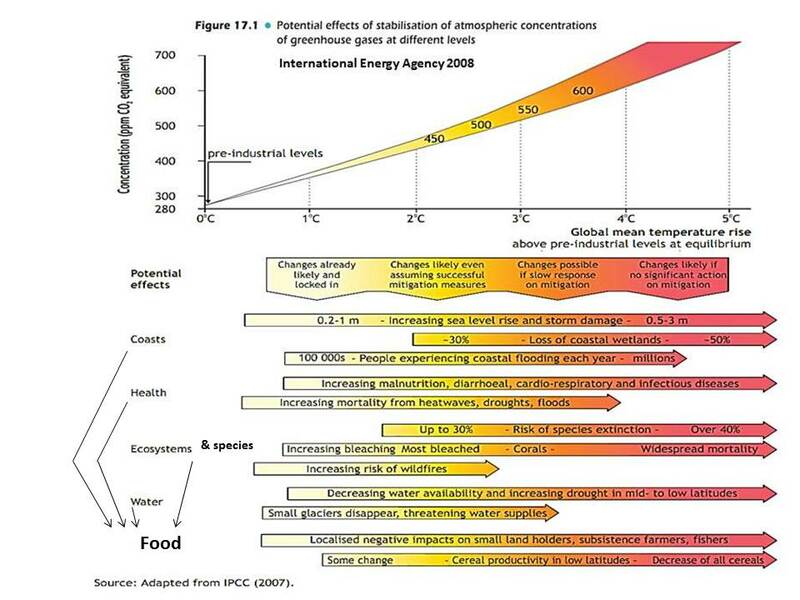 This illustration from the International Energy Agency shows fairly well what commitment means today and it includes some of the many adverse additive climate change effect on crops that will make the yield losses much greater that the 'food' line which is just the model results. 2013 Stanford research. ​At today's absolutely committed warming of 1.5C the rate of climate change is 10X faster than past 65 million years. 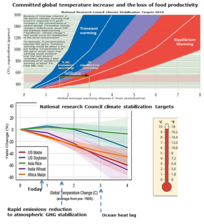 On today's world economy policy committed emissions scenario it is 50-100 faster​​. 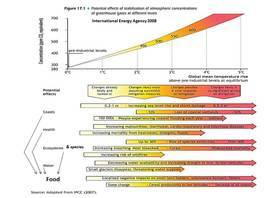 Food security urgency for mitigation and possible adaptation depends more than on the rate of climate change as much as the degree of warming. 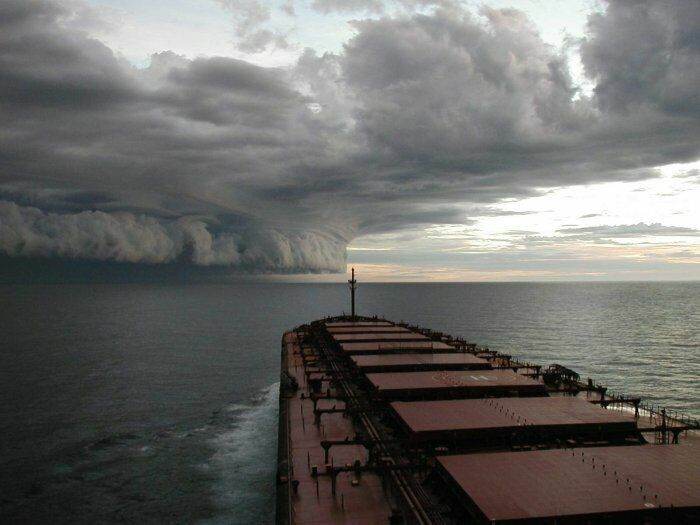 ​​Climate change future commitment is largely the result of climate system inertia and momentum. ​​It means we are already locked in to a much larger degree of future global warming and climate change, than today's. The committed future warming today is several today's warming of 0.8C. To protect food security from the effects of global warming and climate change we must ​​know and understand what our committed warming is. 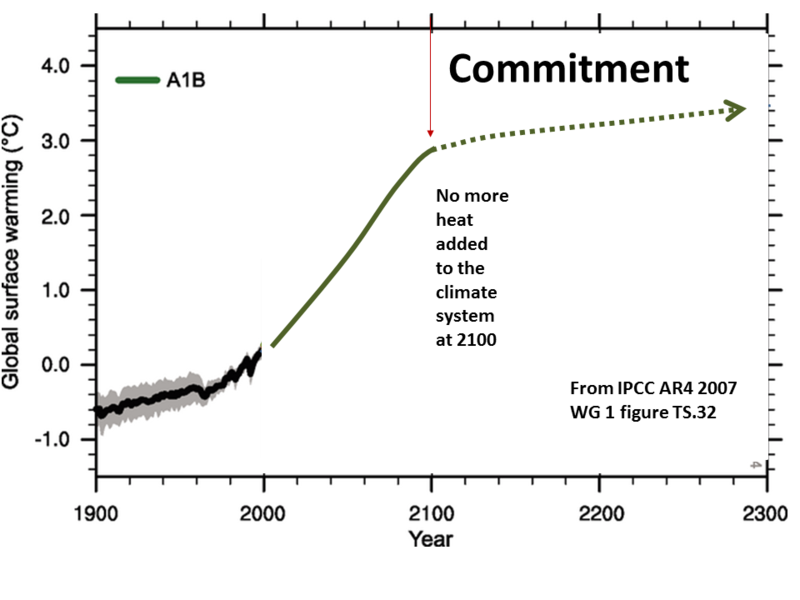 Because of change commitment it now practically impossible to avoid a warming going above 2C over the next few decades. Professor Sir Robert Watson said that the hope of restricting the average temperature rise to 2C was "out the window". He said that the rise could be as high as 5C - with dire conseqences. 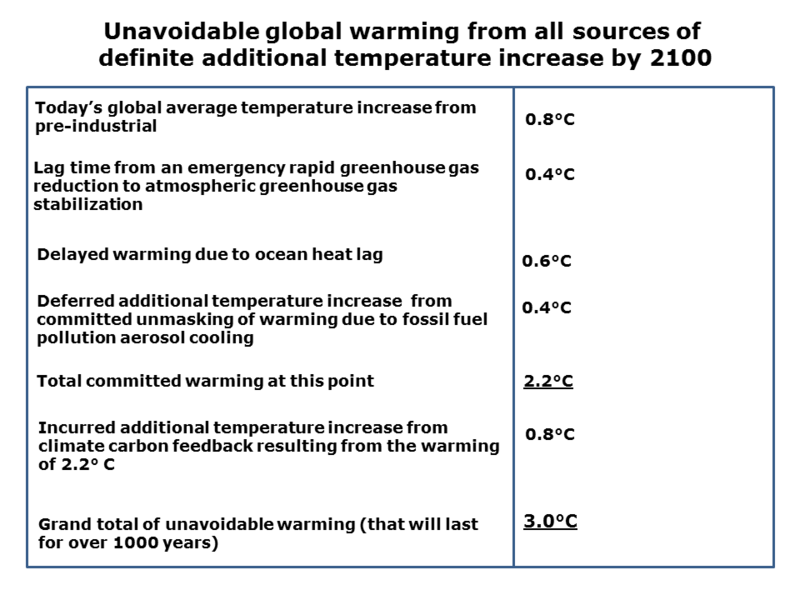 From the 2014 IPCC AR4 assessment, we are committed to an unavoidable minimum of 2C by 2100.. Only emergency drastic intervention can alter this.